Fleming H. Revell Company, 9780800727017, 352pp. 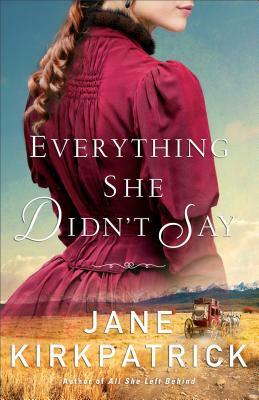 Jane Kirkpatrick is the New York Times and CBA bestselling and award-winning author of more than thirty books, including All She Left Behind, A Light in the Wilderness, The Memory Weaver, This Road We Traveled, and A Sweetness to the Soul, which won the prestigious Wrangler Award from the Western Heritage Center. Her works have won the WILLA Literary Award, USABestBooks, the Carol Award for Historical Fiction, and the 2016 Will Rogers Medallion Award. Jane lives in Central Oregon with her husband, Jerry. Learn more at www.jkbooks.com.